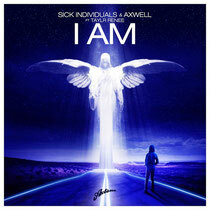 Ultra Music recently released ‘I AM’, a collaboration between ex-Swedish House Mafia member Axwell, breakthrough electro house duo Sick Individuals and US vocalist Taylr Renee. Originally signed during the Amsterdam Dance Having already reached #1 on Beatport, this combination of talent results in a driving yet euphoric house track whose trajectory is constantly lifting. To coincide with the release of the track, Axwell has just launched his brand new website – www.axwell.com - with an “Axcess All Areas” (AAA) component. “Axcess All Areas” will launch in full later this month – an exclusive area for fans to get access to brand new content, and exclusive competitions and more from Axwell before anyone else. You can sign up now for a chance to win a trip to Salen, Sweden for Axwell's Where's The Party event at the Högfjällshotell ski resort this Saturday, December 14. Check ‘I AM’ below.